Exercising the deep abdominal muscles, pelvic floor muscles and general movement is very important during pregnancy. 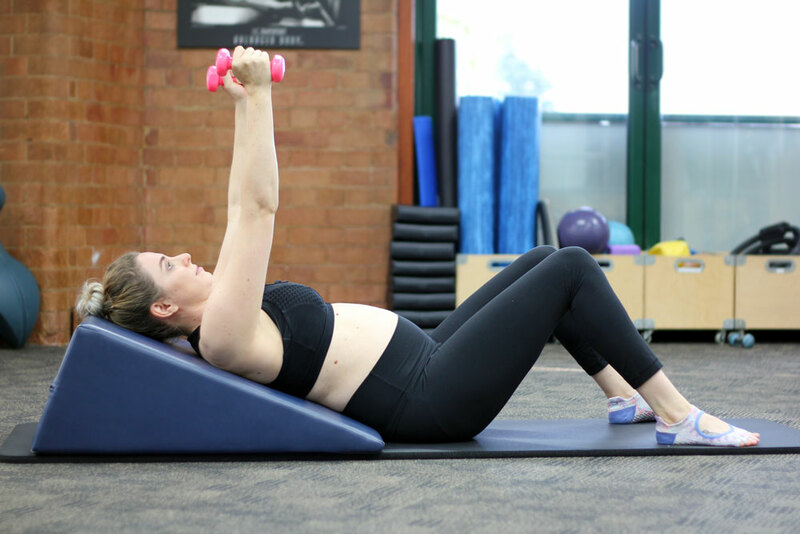 In our Pregnancy Conditioning class, you will strengthen and stretch specific muscle groups that may be weakened and tight from the postural changes and stresses that occur during pregnancy. It is also low impact, without placing stress on the body’s joints. The Body Refinery’s Pregnancy class is taken by a Women’s Health Physiotherapist and suitable for pregnant women. Our Pregnancy Conditioning session is a 45-minute group class and with a maximum of 6 participants. You can as well attend any of our Clinical Rehab classes if you want to keep moving during your pregnancy. These classes require an initial consultation with a physiotherapist if you are new to our Brisbane studio. All our classes are bookable online through The Body Refinery app (Download here).